Although there are various ways of making your teeth whiter, there are several methods which are not suitable for people with sensitive teeth. Today we are giving you a free advice about the teeth whitening for sensitive teeth. There are several methods that are safe, and we will also list a cheap ways to whiten your teeth too, using commercial products that have gained many positive reviews from the users. There’s no doubt that having a bright pearly teeth make somebody look better. In fact, there are even some people who consider their teeth just like the peacock’s tail, which plays a crucial role in charming other people. So what are the best methods for teeth whitening in people with sensitive teeth? First there’s this light-activated bleaching method. This is a method that is performed in dental office. 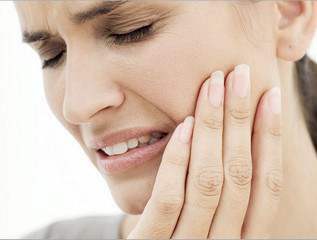 Your gums, fillings and other places that might be irritated with the substance are covered, reducing the possibility of having teeth sensitivity attack during the process. The result is instant, although the process requires you to open your mouth for about one hour. One of the major benefits of this method is the fact that it is done professionally by people who know what they are doing. The downside of the light activated teeth whitening conducted in-office is the high cost, which is around $300 to $600. The Plus White 5 Minute Speed Whitening System is very affordable. It costs only $10.99 and it works effectively. The manufacturer claimed that this is a gentle method, but it is still whitening strips, so use it moderately. Meanwhile, the Crest 3D White Whitestrips Advanced Vivid has a higher price at $42.99, but this is a more gentle option compared to the first one we mentioned. You can still use this product if you have sensitive teeth, but limit your uses. Teeth whitening using bleaching methods are generally not recommended by dentists when you still have problems with your teeth health condition, including gum disease, teeth with worn enamel, and also teeth sensitivity. The best thing to do if you are looking for teeth whitening for sensitive teeth is to choose the mildest ones. There are several products that offer this, including some tooth paste products, but the latest one is using ion technology (such as the ionicpearl). This might not be as effective as the in-office bleaching, but it works pretty good. According to the manufacturer, this method is enamel-safe, so people with sensitive teeth can use it every day. Lastly, the best way to keep your healthy and white smile is to have a healthy habit. Stop smoking, reduce drinking alcohol, coffee or tea, and brush your teeth daily will benefit you in the long term. There are no fast teeth whitening for sensitive teeth, but there are some options you can try. This entry was posted by mimin on April 19, 2019 at 5:39 am under Dental Treatment. Tagged best teeth whitening for sensitive teeth at home, Dental Whitening for Sensitive Teeth, how to stop sensitive teeth after whitening, Teeth Whitening for Sensitive Gums, Teeth Whitening for Sensitive Teeth, teeth whitening strips sensitive teeth, Whitening Kits for Sensitive Teeth. Both comments and pings are currently closed.